Who doesn’t love a sweater set? And this is as cute as they come! 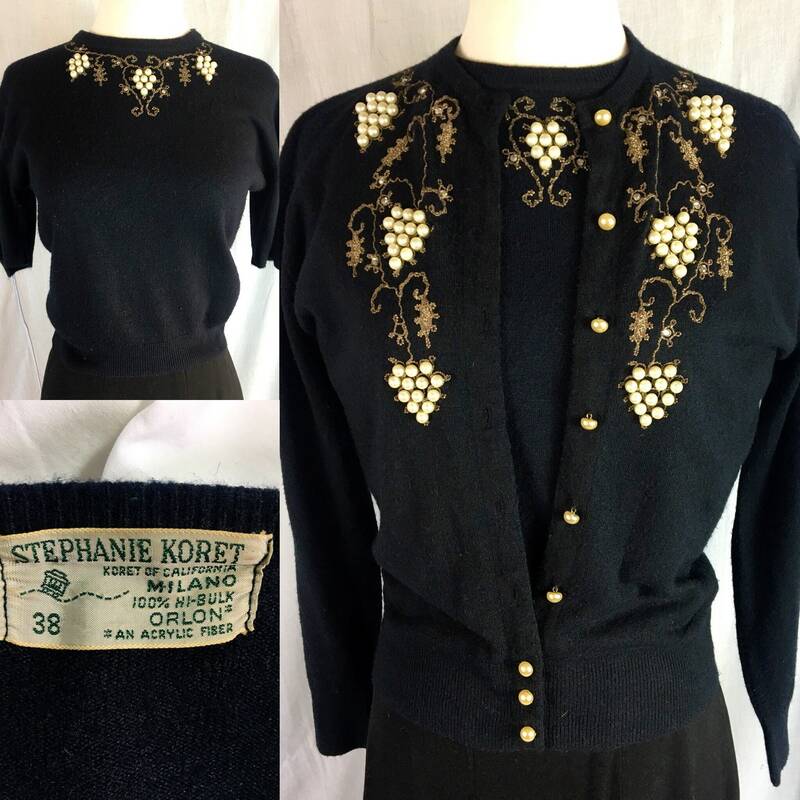 If you look on the Vintage Fashion Guild Label Resource website, it shows that the Koret label line this is from the 1950s. 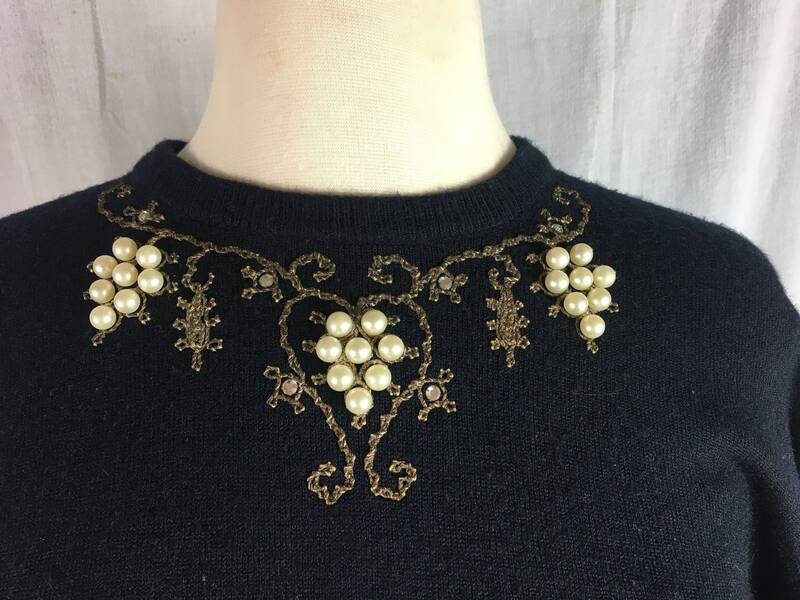 This is a beautiful example of the beaded sweaters of the era. 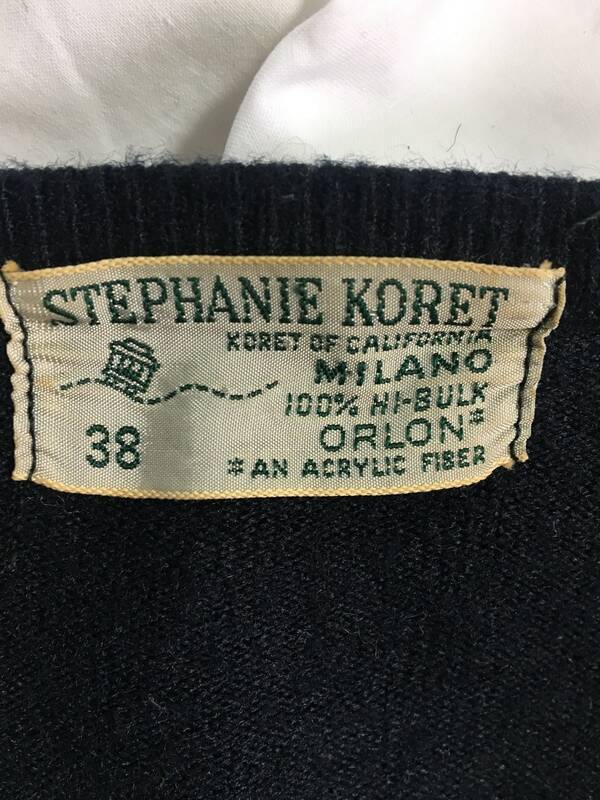 The label reads “Stephanie Koret, Koret of California, MILANO, 100% HI-BULK ORLON, an acrylic fiber.” It also states the bust size is 38. There is also a tiny cable car pictured. 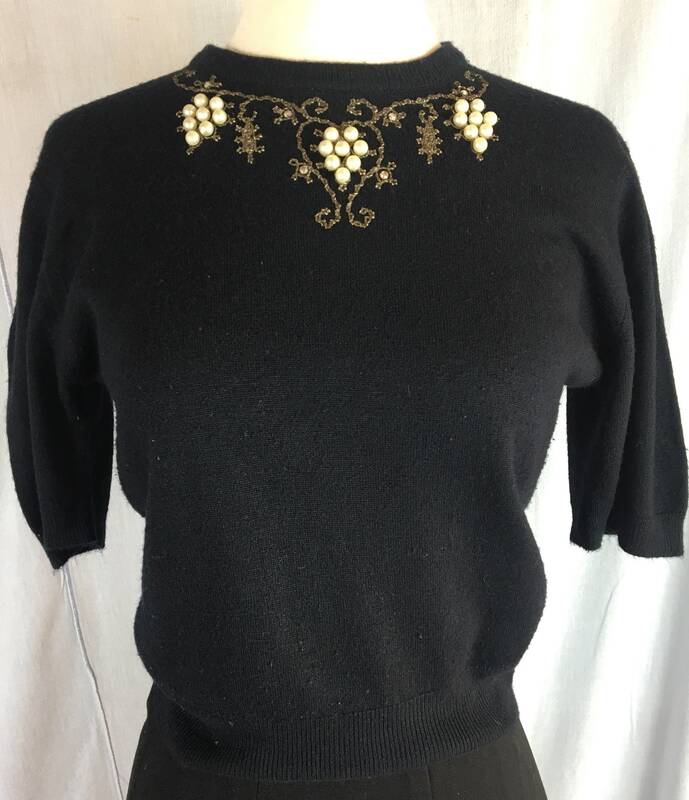 The sweater has a gold soutache design, interspersed with clear ab rhinestones and pear grape clusters. 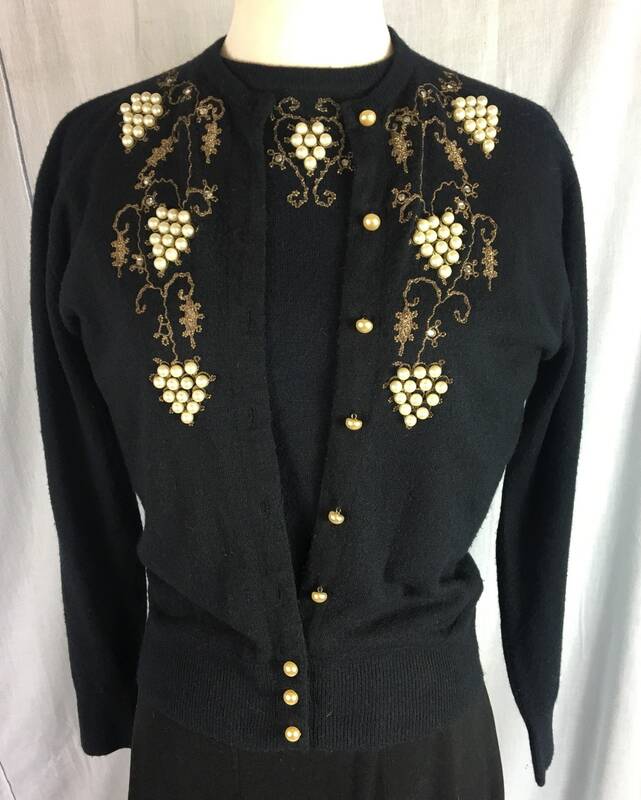 The cardigan has 9 faux pearl buttons. 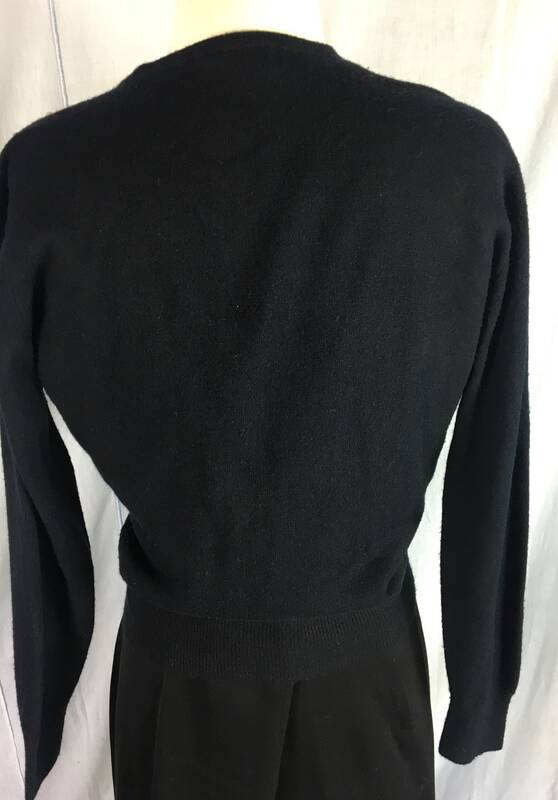 CONDITION: The sweater is in amazing condition. There is only piling one would expect from age but it is very slight. 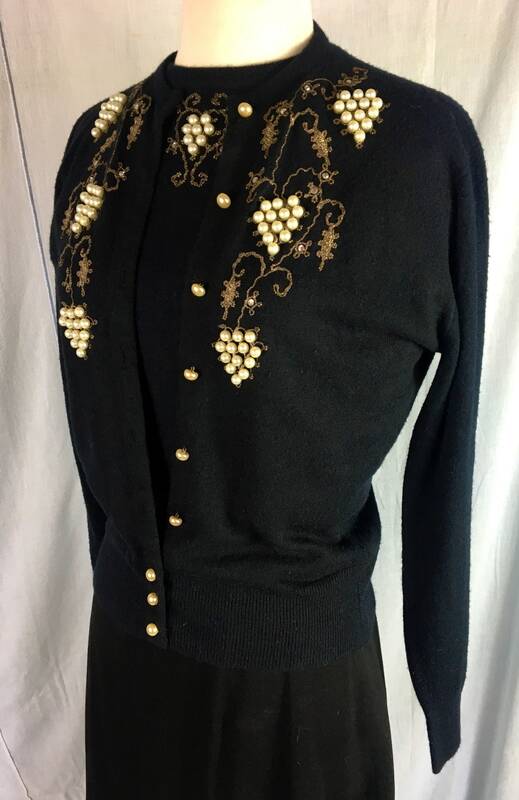 I see one spot in the front that may be missing a rhinestone but I am not sure if that is the design. I am going to rate this as being in excellent minus condition.